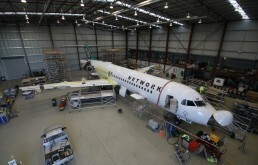 Network Aviation offers apprenticeships in aircraft maintenance. We will offer you the opportunity to train and gain experience in a national organisation and become a qualified and highly trained tradesperson. Apprenticeship are based in Perth. If you are interested in becoming part of the team please visit the Qantas Careers website for details and current vacancies by clicking the link below.